Our Standard Leather Gorget is crafted from heavy 13/15 oz. armor grade leather. This neck plate will provide protection to your collar bone and is also compatible with many pauldrons. The gorget has a d-ring at the top of each shoulder so you can connect any pauldrons that have a strap and buckle. The leather gorget is adjustable with two straps and buckles that attach the front plate to the back plate. You can choose how loosely you buckle these together for a perfect fit. 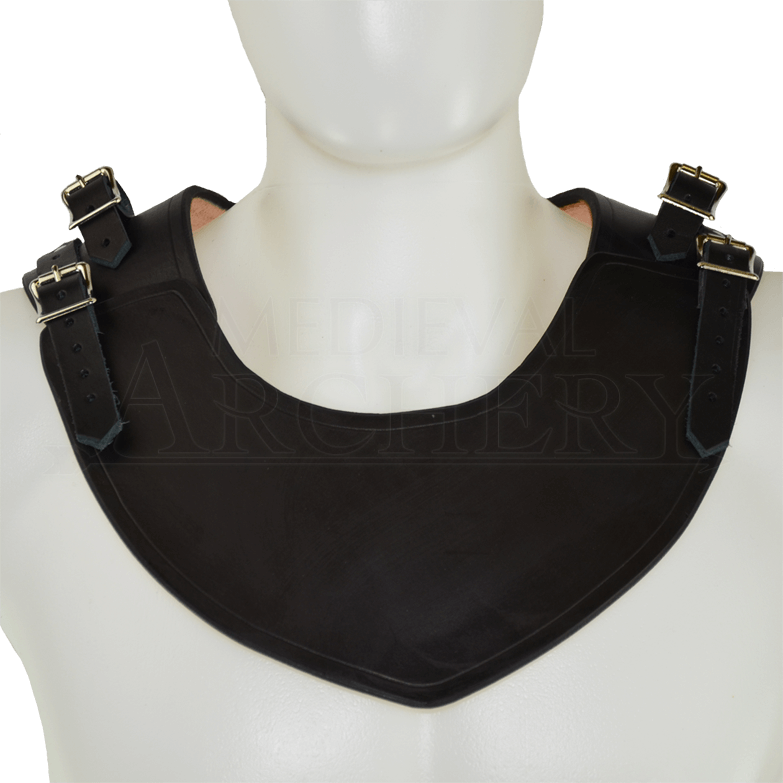 The gorget has molded shoulders for a comfortable fit, the leather may need a little bending or breaking in to get it exactly the shape you desire, but this is a very easy step. Medium: Neck Circumference - 21-31 Inches, Neck Width - 7.75 Inches, Front Length - 5 Inches, Back Length - 6 Inches. Large: Neck Circumference - 24-36 Inches, Neck Width - 9.75 Inches, Front Length - 5.75 Inches, Back Length - 6.75 Inches. Nice piece, very solid leather. Takes some breaking-in, but I'm very happy with it.